1. Master Cleansing Diet is a fasting liquid diet that requires you to consume only lemonade concoctions, laxative tea and salt water. 2. 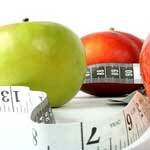 HCG Diet requires you to limit your calorie intake to 500/day. It also includes injection or oral consumption of hcg hormone, which is an appetite suppressant. 3. Atkins diet severely restricts carbohydrates, even some fruits and vegetables. 4. Cabbage Soul Diet is a 7 day diet and requires you to consume low-calorie cabbage soup all week with inclusion of fruits and vegetables on particular days. 5. The 3 Day Diet is one of the quick weight loss diets that promises a weight loss of 10 pounds in 3 days. 6. The Grape Fruit Diet severely restricts carbohydrates and asks you to consume recommended intake of grapefruit and its juice everyday. 7. Hallelujah Diet shuns animal products and requires you to have predominantly raw vegetables and fruits along with supplementation. 8. The Biggest Loser Diet lays emphasis on fruits, vegetables, healthy fats and lean meats. This is relatively a healthy way to lose weight fast, provided the calorie intake doesn’t go below 1200/day. 9. The NutriSystem diet is portion controlled meal plan that lets you choose prepackages microwavable meals and other diet shakes. 10. The Negative Calorie Diet is based on speculative science and requires you to consume low calories. Consult with your doctor before following fad diets. Doctors advice against diets that support laxatives to lose weight as they can lead to several health conditions.